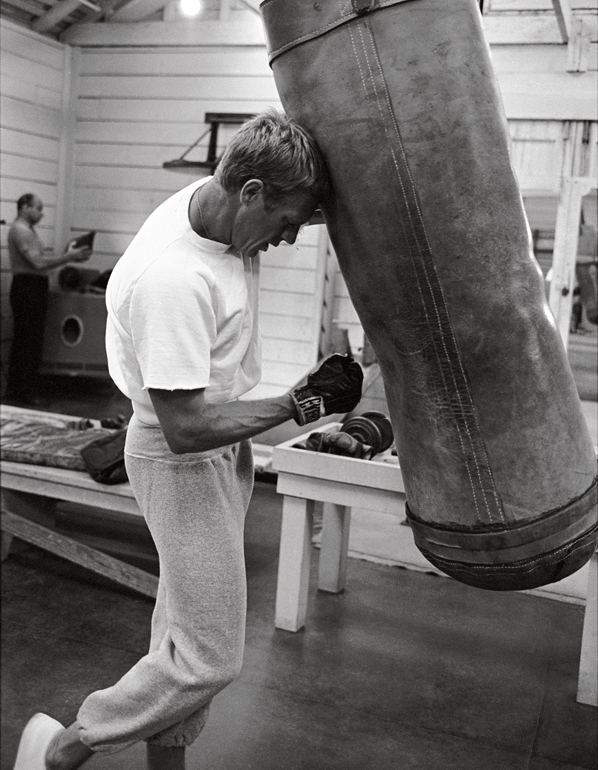 Speed and racing fan, Steve McQueen is in the 1960s an accomplished and rigorous sportsman who does not miss a session of "workout" to maintain his form and carve a body of champion, key to his success on the big screen. 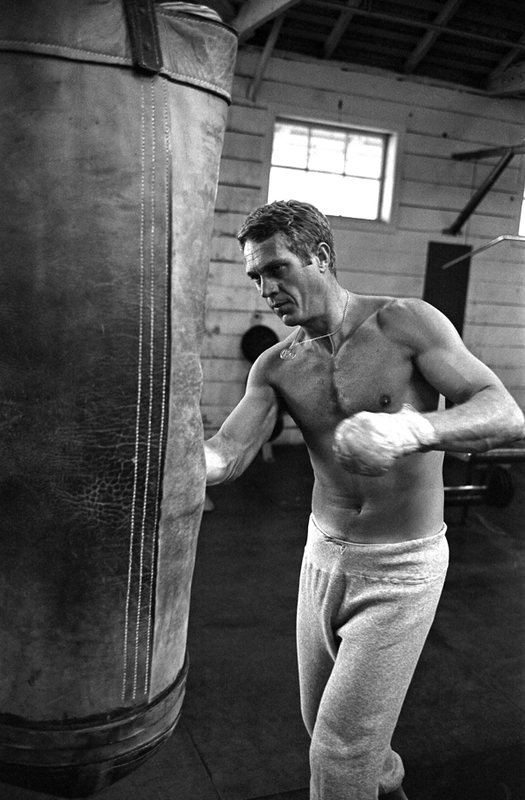 On these shots, the "King of Cool" exercises punching boxing gloves at the punching bag in Paramount's gym while he is at the top of his career, king of box office with The Great escape. Boxing, one of the secrets of the one who will remain long after an icon of cinema, style and fashion.